With time and options running out, Manchester United have decided to fork out an incredible €55m for Monaco’s young forward, Anthony Martial. Taking advantage of the French club’s failure to reach the Champions League group stage, van Gaal has apparently had the 19 year-old scouted on many occasions and decided that he was the player to bring a much needed spark to United’s forward line. After rejecting €25m from Tottenham earlier in the window, Monaco have allowed the forward to sign for the Red Devils, and despite his considerable talent this is hardly surprising when you consider the size of the fee. As a young footballer beginning his career, Martial spent his early years at CO Les Ulis who play in the Division Supérieure Régionale, France’s seventh tier of football. 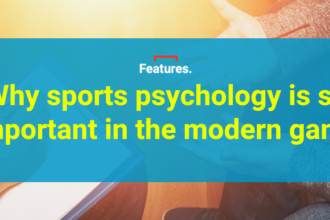 They are primarily known in France for being the club where former Manchester United and now Juventus left back Patrice Evra, and all time Arsenal leading goalscorer Thierry Henry began their careers. In 2009, aged just 14, he was spotted by scouts from Olympique Lyonnais (Lyon) and joined their academy that same year. In his second season playing for the Lyon development sides, Martial put his name on the radar after scoring 32 goals in 21 games, which resulted in a call-up to the U17 French national team for the European Championships in 2012. Throughout 2012/13, he played mostly for Lyon Olympique II, the club’s second team, scoring five goals in 11 games. His good form for both club and country at youth level saw him rewarded with a promotion to the first team mid-way through the season, as he clocked up 57 minutes of football in four appearances in Ligue 1, understandably without scoring. Despite a handful of appearances here and there, there was no real path for progression for Martial at Lyon with the likes of Lisandro Lopez and Bafetimbi Gomis firmly settled at the top of the striking hierarchy. It was still a surprise, however, when on June 30, 2013, a move to Monaco was announced for a minimal figure of €5m, especially with Radamel Falcao, Dimitar Berbatov and Valerie Germain all expected to provide similarly formidable competition for a first team place. Regardless of this, The then 18 year-old made 15 appearances in Ligue 1 throughout 2013/14 under Claudio Ranieri, scoring two goals. 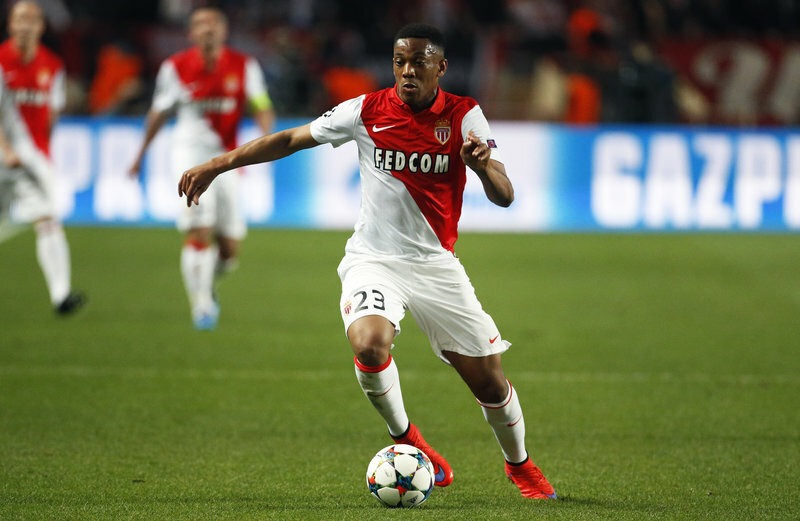 The 2014/15 season would be an eventful one for Monaco, as Martial came of age. In spite of their second place finish the season previous, Ranieri was dismissed by owner Dmitry Ryblovlev with Leonardo Jardim coming in as his replacement. Jardim’s arrival was also accompanied by the departure of James Rodriguez and Falcao, signalling a substantial change in the club’s operating strategy, from that of a free-spending culture to a side focused on buying and developing youth who could hopefully turn into the stars of the future. Martial featured all over the forward line over the course of the campaign, scoring 12 goals and assisting four times in a total of 42 appearances as Monaco finished 3rd in Ligue 1. Arguably, Martial’s biggest strength is his speed. It’s frequently said that raw pace is one of the most difficult things to defend against, and the young forward has this in abundance. An example of the 19 year-old in full flow can be seen against Lens on April 26, 2015 where Monaco were defending a corner before their centre back Andrea Raggi was able to clear. A pass out wide to former winger Yannick Ferreira-Carrasco saw Martial lurking ominously in an offside position, before bending his run to perfection and springing away in an instant, latching onto the pass with acres of room to run into. He then controlled the ball, taking two touches to compose himself before slotting the ball into the back of net without a Lens defender in sight. While his future is likely to lie as a central striker, Martial has shown that he can be effective on the left and right wing with his intelligent movement in behind. He has often been compared to Thierry Henry in style, and watching his approach to being stationed out wide you do notice similarities. On April 10, 2015 against Caen, the teenager was the furthest man forward, receiving the ball on the left hand side. Dragging two defenders over, he dribbled past both of them with consummate ease before cutting in just as he reached the penalty area. 18 yards out, he feigned to shoot, drawing Caen left back Emmanuel Imorou completely out of position before sliding a gorgeous pass through to the onrushing Bernardo Silva, who then chipped the keeper as he came out to close the angle. Manchester United have often lacked pace in their play this season, but Martial, in addition to their other summer signing Memphis Depay could both offer a lot on the counter attack, adding another dimension to their somewhat predictable play. Another impressive aspect to Martial’s game is his ability to work the goalkeeper consistently. Younger players tend to be quite erratic of goal, often having rushes of blood to the head which result in hitting the goalkeeper or missing the target altogether, when the ball should be nestling in the bottom corners. This is natural however, and you expect finishing abilities to improve as they develop as footballers. Despite being only 19 years of age, Martial doesn’t fall into this bracket, continually showing the composure of a seasoned veteran. The 2014/15 season saw the Frenchman take 2.51 shots per 90 minutes, hitting the target 56% of the time. While on first glance this seems underwhelming, if you compare this number to other forwards in Ligue 1 who are under the age of 22, he is one of the best. PSG’s Lucas Moura ended the campaign on 47% while Lille’s (now of Liverpool) Divock Origi and Renne’s Paul-Georges Ntep did so on 44% and 51% respectively. Not only is he cooler in front of goal than those in his age group, he can hold his own amongst the big boys in the league. Edinson Cavani (59%), Alexandre Lacazette (59%), Andre Pierre Gignac (52%) and Max Gradel (49%) who were four of the highest scorers in France’s top flight last season. After only managing to score three goals in four games in the Premier League this season, Martial could be some welcome firepower as United look to kick on after a hit and miss start. As a forward thinking player, taking on and beating defenders is a box on the checklist that will need to be ticked. Granted, there are bigger forwards who are picked to win aerial battles and provide a hub for the team to work from, but at 5’11” (181cm), Martial will not be that guy, especially after he won only 39 out of 119 of his headed duels in the last campaign. While he may struggle in the air, having the confidence to take on players is not an issue for the Frenchman. Over the course of the 2014/15 campaign, Martial completed an incredible 271 dribbles in Ligue 1, averaging 8.8 dribbles per 90 minutes. This was a rate again, superior to those in his age group apart from Monaco’s Yannick-Ferreira Carrasco, now of Atletico Madrid who averaged 10.3 dribbles per 90 minutes. He completes 2.36 successful take ons per 90 minutes, the second highest number in France’s top flight behind PSG’s Lucas Moura, whose game is focused on old fashioned wing play, sitting ahead on 4.28. One aspect to his game which needs refining is his passing. Often careless and slack in possession, Martial is guilty of giving the ball away even when he’s not under pressure, and his 72% pass accuracy in the league last season meant he was one of the poorer passers in the Monaco team. Granted, forwards aren’t expected to be hitting the 90 percent mark like the David Silva’s and Mesut Ozil’s of this world, but the modern game requires more from the strikers and forward players, and this is a trait he will need to curb should he want regular football at his new club. There is no doubt that Martial is a talented player, and along with Alexandre Lacazette, probably one of the best young strikers in France. However, he is just about to turn 20 and has only three seasons of first team football under his belt, with only one of those seeing him play regularly. While his pace and versatility will bring a lot to Louis van Gaal and Manchester United, asking a teenager to come in to a huge club like this and instantly have an impact is a big ask, not to mention the risk that the huge price tag will hang over his head. While comparisons to Thierry Henry may be slightly premature, the Frenchman will have all the resources he needs to succeed in Manchester and, should he iron out a few inconsistencies in his game, all of the ability is there for him to become a top striker in years to come. Liked this? 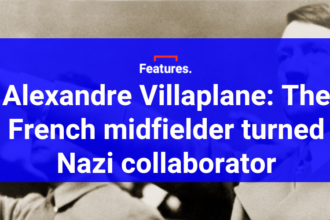 Check out our features on Pavel Kaderabek, Andrea Belotti, Adama Traore, Cuco Martina, Angelo Ogbonna, Jordan Amavi, Jordan Veretout and Salomon Rondon and Florian Thauvin.